Veterans Two (Jockeys) by Frederic Whiting sold for £2500 at Thomson Roddick in Edinburgh. 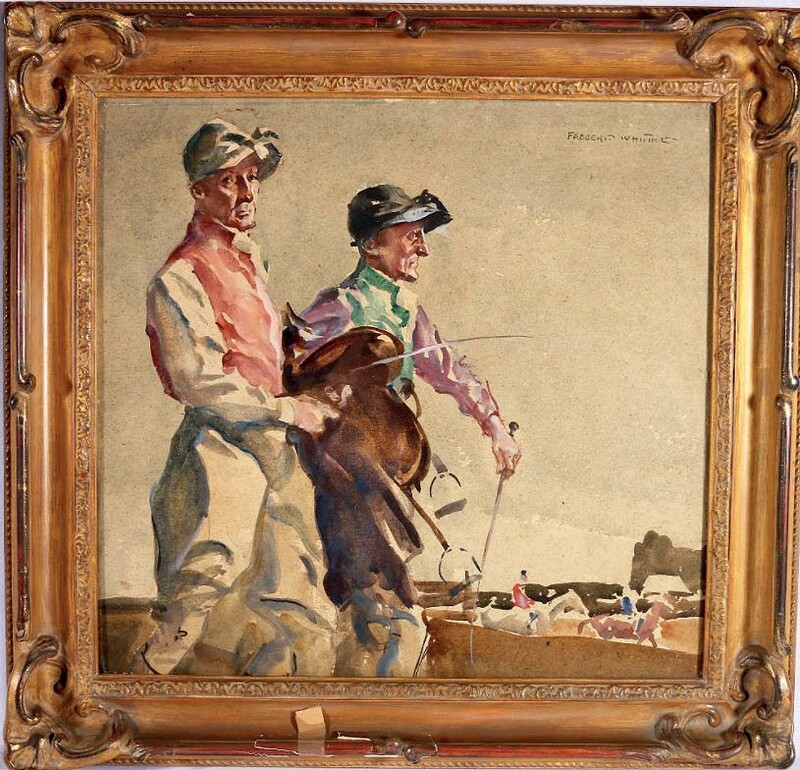 Veterans Two (Jockeys), a signed 16 x 17in (41 x 44cm) work with an old Taylor and Brown label to the reverse, had been conservatively guided at £150-250. Known for his spontaneous style developed through the need to paint fast as a young picture journalist for The Graphic, Whiting gained a reputation as a painter of portraits and equine subjects. His posthumous portrait of George V riding in Hyde Park for the Royal Family resides in the National Portrait Gallery in London.